Update 07-01-2016: if you are a Bridgton fan and have not yet visited this site in the last month, then you are in for a treat! and of course to Rick Uskert for the blog itself and the information he presents there. 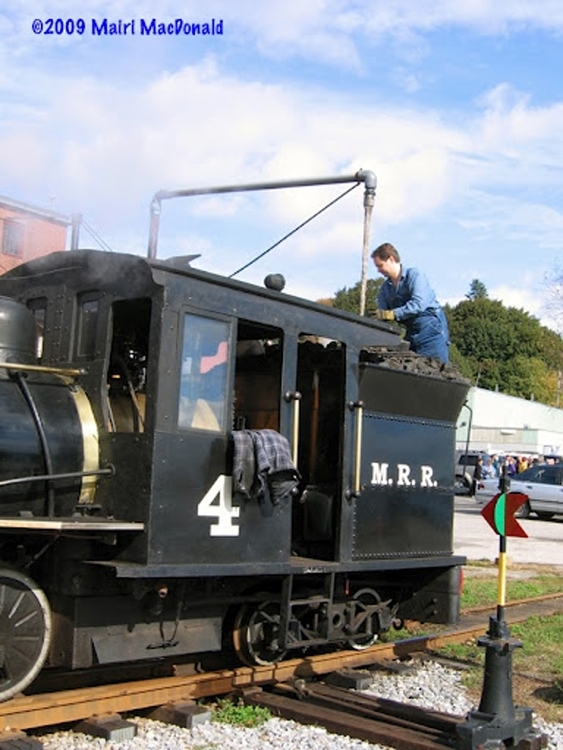 Marty McGuirk’s blog is mainly about his HO gauge Central Vermont layout, but like many blogs there are occasional diversions such as what other layouts might fit the space or his interests. Update: 07-06-2014: Ron has added a video to his blog, showing a helicopter tour of the 255 Oops! make that 455 (!!!) foot run from Farmington to Rangeley and Marbles. That’s over four scale miles, so it is well worth a visit to his blog to view! Ron is building an On2 layout modelling the SR&RL in the fall of 1919. The layout will be on two levels and is housed in a dedicated second floor room that is about 25 feet wide and 100 feet long giving a floor space of about 2,400 square feet. The minimum radius on the layout is 48” and will use #8 turnouts. Ron intends to use Precision Scale flex track. Read more about Ron’s ambitious plans on his blog at http://srrllayout.blogspot.com or use the link in the sidebar on the right. Wes Ewell’s own website http://twofootartist.com/ is truly a Treasure Trove for the Maine Two Foot Enthusiast looking for plans and drawings. 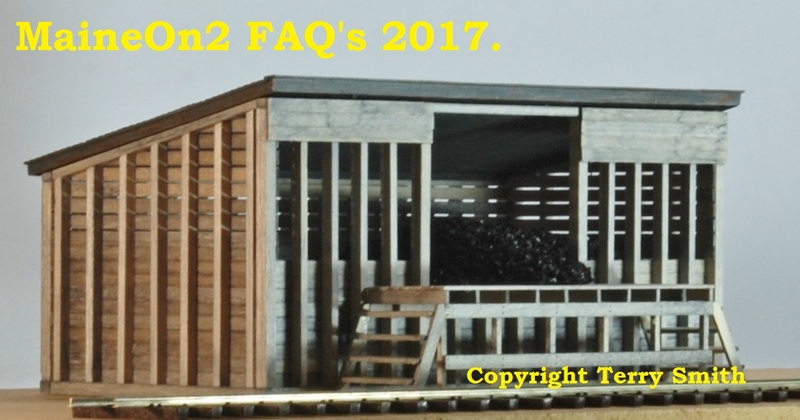 The picture above shows Terry Smith’s model of the smaller Harrison loco coal shed on the B&SR built from plans developed with Wes, and the picture below shows a picture of his model of the Harrison Freight house under construction. Wes is well known amongst the Maine Two Foot fans for his exquisite drawings, and on this website he presents much of his latest work. If you have never visited it, then you should.